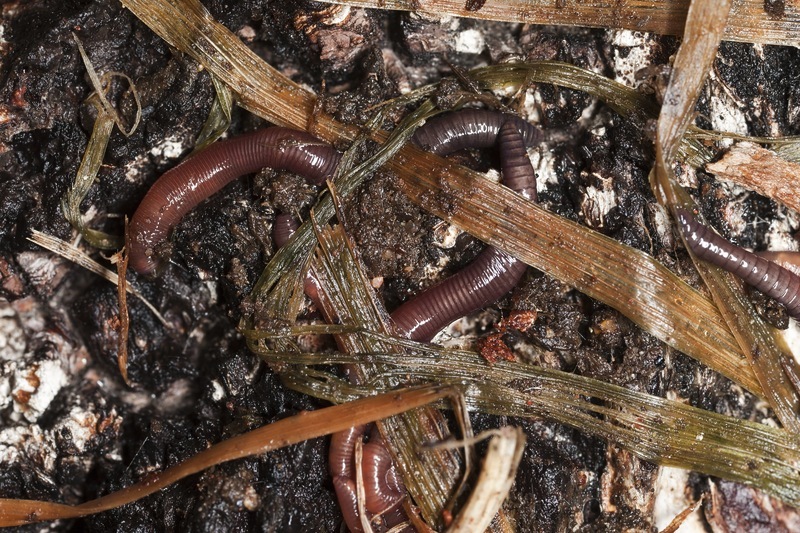 Nature wants to add organic matter to the soil, but the gardener won’t let her. I often see gardeners down on their knees tugging out great handfuls of overgrown weed. I strongly suspect that all the vegetation with good soil attached, is on its way to the dreaded green wheelie bin. Repeated one way traffic away from the garden. It is amazing how resilient our soils are and that they grow anything at all. It’s certainly good for the garden trade who sell huge amounts of soil ‘improvers’. Good gardeners of course make compost heaps and recycle the organic matter. Even then, I feel some gardeners never get round to actually using the wonderful stuff they make! The plant is a wonderful factory for creating organic matter. The leaves create sugars from carbon dioxide and water by photosynthesis. These sugars are the ‘building bricks’ for all plant growth. AGAPANTHUS: This vegetation in Bolton Percy cemetery will be returned directly to the soil. everything away, including the carbon. In nature, huge amounts of dead vegetation finds its way into the soil. It is often overlooked how living plants improve their own biosphere as their roots release soluble organics into the ground. 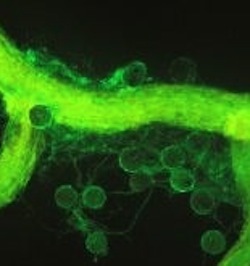 Plants also ‘donate’ organic materials to mycorrhizal fungi. As recently as 1996, long lasting glomalin, was discovered. Produced by soil fungi it has transformed our understanding of soil formation. And what does the gardener do? We tidy away all the weeds and debris and sweep up the leaves. Worse, we constantly till the ground, disrupting root action, breaking up the mycorrhizal web and oxidising organic matter. It’s easy for me in my cemetery gardens and on the village plot. I just refuse to remove any organic matter and of course do not dig. All herbaceous tops are shredded and left on the ground. At home, I do have to be little tidier! There are many ways to garden. None can ever be completely natural, but let us try and preserve nature’s bounty. ROSA GLAUCA Most gardeners would not want to shred the top of this Rosa glauca and leave it on the surface. Nor would Brenda! Good points in an interesting post. I agree. Soil is the starting point of any garden. Too many people only see the pretty and neat! They would rather buy some expensive 'soil improver' from a snake oil salesman than make a compost heap! I am a follower from Texas. I am guessing that a 'green wheelie bin' is an English thing? Any chance of a translation? Yes, the bin is a special one for organic waste. Some local authorities properly compost it and it can be an excellent product for the gardener, even as a component of what we call in the UK, 'potting compost'. Unfortunately, in perhaps the majority of cases, it is a wheeze to avoid landfill tax. So called compost facilities make money from the waste they take. They have to almost give away the product they make in order to get rid of the stuff. Let me get this straight. You guys pull up weeds in your gardens, put them in a trashcan with wheels and then your local government sells them to a company that makes compost that you then put back in your gardens? You cannot be serious! You have not got it quite straight, the local authority actually pays the company to take the waste. It is much cheaper than paying landfill tax. Yes on a good day the compost might get back to gardeners. In most cases we do not want it. The bin is quite big and the wheels are needed to push it to the garden gate for the 'dustman' to collect in his 'van'. I am getting more confused. Your Government PAYS a company to make compost because it's cheaper than putting organic trash in a big hole? WHY would they bury weeds in a hole anyway? And why would they be taxed for doing it? Who gets that tax? Then there are vans going round collecting these bins of weeds? Do they give the bins back or do you buy new ones from the local government? We Yanks always knew you English were a bit eccentric!!! I've not had such a good laugh in a long time! It's at times like this that it can be embarrassing to admit to being English! Great post Roger. I always bore people to death about compost and soil quality! Loved the recycling cart exchange too! Yes,thank you again anon for your stimulating and embarrassing questions. You mention a big hole, and it made me feel I was digging myself into another one. I was going to mention that we have a large green coloured bin for general waste, a large brown one for organic waste (that is our 'green bin' is brown), and a small blue bin for plastics, paper, bottles etc. The blue one is collected least frequently, it is the one for which that we seem to have most rubbish. I then kind of lost the will to say anything more!